In a time when your word to repay was all lenders had to go on, collateral was a common way to add a little extra security for the financier to the deal. Today, in the age of credit reports and scores, a positive credit history acts as collateral for a variety of credit products. But, what if you don’t have a credit history — or you do, but it’s not in great shape? Secured credit cards harken back to the idea of collateral by using a cash deposit as security against default. That deposit gives the issuer the reduced risk they need to provide credit lines to consumers with limited or poor credit histories. In today’s glutted credit card market, there’s little end to the card options, even for consumers with low credit scores. Many secured credit card options are out there, making it more likely to find the right card. One of the most common fees in the credit card world is the annual fee, which is charged by top-tier rewards cards and cards for people with low credit scores alike. Thankfully, you don’t have to be stuck paying an annual fee, regardless of which end of the spectrum your score falls. Plenty of secured credit card issuers offer products free from annual fees, some of which also come with extra perks like purchase rewards. Just remember not to overspend simply to earn rewards; keep your credit utilization low and pay off your balance each month for the best results. This card allows for a variable minimum deposit, with the exact minimum required depending on your individual credit profile. All approved applicants will get an initial $200 minimum credit line, with access to a higher credit line after making the first five payments on time. This card not only eschews the annual fee, but it also offers unlimited cash back rewards, an introductory cash back offer, free FICO Score tracking, and the ability to upgrade to an unsecured product after as little as eight months of responsible card use. This no-frills secured credit card doesn’t offer rewards, nor does it charge an annual fee. The card requires a $200 minimum security deposit, with the option make a deposit of up to $2,500. Your credit limit will be equal to the size of your deposit. While the card doesn’t have rewards, it does come with standard Citi card benefits that include $0 fraud liability, Citi® Identity Theft Solutions, and 24/7 online account access. One of the most costly parts of having a low credit score — or none at all — is the high interest rates you’ll typically be charged. While the easiest way to avoid credit card interest fees is to pay off your balance in full each month, this isn’t always feasible. In these cases, a card with a low regular interest rate can be the best way to save on fees. This card has a particularly low interest rate and no minimum credit score requirements, making it a good choice for consumers with poor credit who want to save on interest. It requires a minimum $200 deposit and charges comparatively large annual fee. This card charges a lower annual fee than it’s sibling, though not by a huge margin. At the same time, it also charges a higher regular APR (though comparatively still low by most credit card standards). Approved applicants will need to make at least a $200 minimum deposit. This card could be a good choice for cardholders who tend to carry a balance on their card from month to month, as it comes with a low fixed APR and the opportunity for a large credit limit. But, you may need to crunch the numbers to see if the annual fee is worth the potential interest savings. One of the more appealing aspects of this card is that it has no minimum credit score requirements, making it possible for a wide range of credit types to qualify. Activity will be reported to all three credit reporting bureaus to help build credit history. Credit card rewards are one of the strongest incentives for many frequent users, from regular shoppers to points and miles churners. 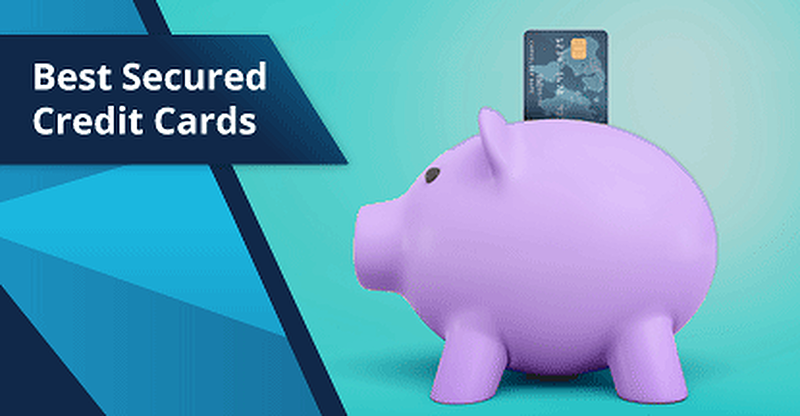 Thankfully, you don’t have to miss out on rewards due to bad or limited credit; a number of quality secured credit cards come with fairly competitive purchase rewards. This card combines it all in one little plastic package: unlimited cash back rewards, bonus rewards for gas and restaurant purchases, an introductory offer that matches your first year’s cash back earnings — and it’s all with no annual fee. Cardholders may even become eligible to upgrade to an unsecured card after just eight months. The SunTrust Secured Credit Card with Cash Rewards not only offers unlimited 1% cash back on every purchase, but cardholders can also earn 2% back on up to $6,000 in gas and grocery purchases each year. The card requires a minimum $300 deposit, with the maximum deposit based on your credit. Another great feature of the SunTrust Secured Credit Card is that it’s upgradable, which means SunTrust will automatically upgrade the account to an unsecured credit card when the cardholder has shown significant credit improvement. One of the only secured credit cards that offers travel rewards, this card can help you earn Aeromexico miles to redeem for free flights to Mexico. You’ll earn one mile per dollar on eligible purchases, plus double miles on gas and groceries. The card even comes with a small signup bonus. Your credit limit will be equal to the amount of your deposit, with a minimum $300 deposit required. You can deposit up to $5,000 to gain access to a larger credit line. While a wide variety of secured credit cards are available on the market, they all share the same purpose: to help consumers establish and build credit. 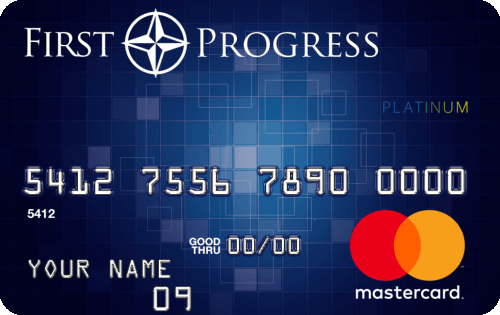 These cards take it a step further by allowing qualified cardholders to automatically upgrade to an unsecured credit card after demonstrating responsible credit card use. Although this card doesn’t come with a lot of perks and bonuses, it also doesn’t come with an annual fee. Qualified users can become eligible for a credit limit increase after five months, and Capital One will start reviewing your account for upgrade eligibility after one year. 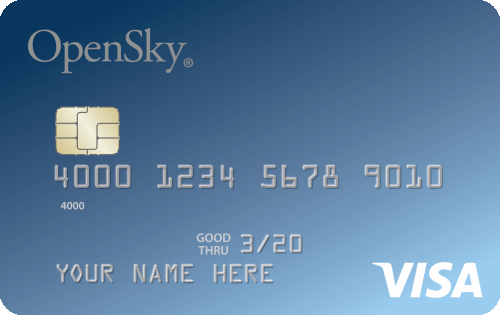 This card combines cash back rewards and no annual fee, making it a good choice for a first credit card. 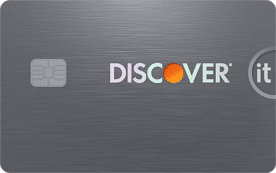 What’s more, Discover will review your account for upgrade eligibility starting at eight months from account opening, meaning qualified cardholders could graduate to an unsecured card in less than a year. While this card is a little light on features — it has no rewards and charges an annual fee — it does report to all three major credit bureaus. Plus, cardholders who use their card responsibly can qualify for an upgrade to an unsecured card and the return of their deposit. Sporting lower APRs and fewer fees than subprime credit cards, secured cards are a great alternative for consumers who can’t qualify for a prime card. The only thing not great about them? The deposit. With these cards, however, that deposit won’t sit around gathering dust — it’ll sit around gathering interest earnings, instead. This card has a minimum $300 security deposit requirement, with a maximum deposit of up to $5,000 (dependent upon qualification). Your deposit will be placed into a U.S. Bank secured savings account, where it will earn interest as long as your account remains open and in good standing. The card also comes with a range of standard benefits, including $0 fraud liability, secondary auto rental insurance, online banking access, and automatic bill payment features. The SunTrust Secured Credit Card with Cash Rewards requires a minimum $300 deposit, with the maximum deposit amount dependent upon your individual credit. Your deposit will rest in a secured savings account that earns interest while your card is open, and any interest accrued will be returned along with your deposit when you close your account in good standing. This card requires a minimum deposit of $250, though you can put down up to $5,000 for a larger credit limit. Your deposit will reside in a secured two-year CD account where it will earn interest for the duration of the CD. This card has a relatively low APR range, based on your creditworthiness, and charges no penalty APR for late payments (late payment fee will still apply). You also won’t pay foreign transaction fees on purchases in foreign currencies. Although not a credit union, you’ll need to become a member of USAA to be eligible for this card. Given their purpose, most secured credit cards are very easy to obtain, even with a low credit score. However, some credit report red flags — such as a recent bankruptcy — can still cause you to be turned down. These cards have flexible requirements and often accept a range credit scores and history types. One of the only credit cards out there that can be obtained completely without a credit check, this card has a minimum deposit of $200 and reports to all three major credit bureaus to help build or rebuild your credit. 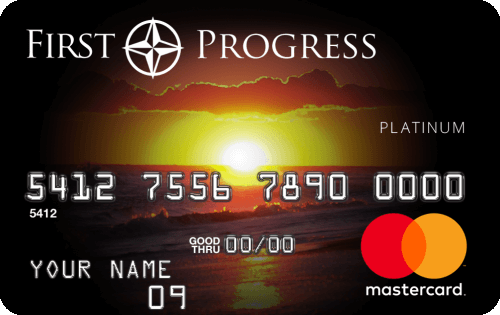 The card also offers a decent APR and has a comparable annual fee. 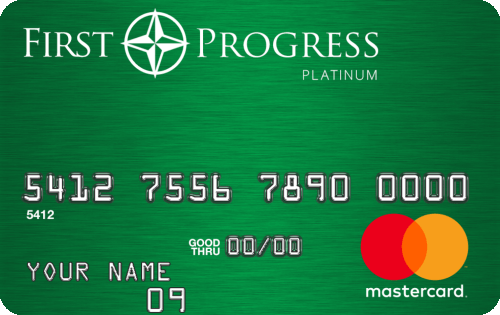 This card advertises that it has no minimum credit score requirement, meaning even those with no history at all can be approved. You’ll need a deposit of at least $200 and as much as $2,000 for a higher credit line. One of the more appealing aspects of this card is that it has no minimum credit score requirements (though your credit may be checked to determine credit limit), making it possible for a wide range of credit types to qualify. Activity will be reported to all three credit reporting bureaus to help build credit history. For all intents and purposes, secured credit cards work exactly like unsecured credit cards; it is not a prepaid card, debit card, or charge card. A secured credit card still represents a revolving credit line, and users have the ability to carry balances from month to month while making at least the minimum monthly payment. Many secured credit card issuers are the same major banks that issue the most popular rewards cards. Cardholders can make purchases anywhere the card’s network is accepted (up to the credit limit of their card), including making online purchases. Purchases are billed on a monthly basis, the same as any other credit card. In fact, the only real area that secured credit cards differ from their unsecured cousins is the deposit. To set up and maintain a secured credit card account, you’ll need to make an initial cash deposit. That deposit will reside in an untouchable savings account to act as collateral for the card. Your consumer credit history is what lenders and credit card issuers use to determine your financial risk, or how likely you are to default on a credit line. Consumers with no or low credit scores represent high-risk borrowers who are more likely than average to default on their debt. Secured credit cards are designed to help consumers establish or build credit while minimizing risk to the issuer. The security deposit required to open a secured credit card account ensures that the issuer won’t lose money if you become unable to repay your balance. If, at any point, you wish to recover your deposit, you can do so simply by closing your secured credit account in good standing (i.e., with a $0 balance). Alternatively, your deposit will be refunded to you should your secured card be automatically upgraded to an unsecured product by the issuing bank. Who Should Use a Secured Credit Card? While nearly any consumer can qualify for a secured credit card so long as they can make the deposit, secured cards are intended for consumers who cannot qualify for a quality unsecured prime credit card. Secured credit cards are a good alternative to expensive subprime cards. In other words, you should use a secured credit card if you have bad credit and need a new card to rebuild your credit. People who have no credit history (or a very limited one) can also benefit from a secured credit card as a way to establish and build a credit history. And this isn’t limited to the consumer credit card world. Business owners with low credit scores can also find a credit card company that offers a secured business credit card, which can help build both your personal and business credit. A secured business credit card will require a deposit, just like a consumer card, with your limit typically equal to the amount in your collateral account. The three main factors to consider when comparing secured credit cards are: the APR, the annual fee, and the purchase rewards. That said, the order of priority will vary based on your individual needs. For example, purchase rewards can be valuable, but if the main purpose of your new card is a balance transfer, then the rewards may not matter to you so much as finding low-rate credit cards. The same applies to carrying a balance. While it’s always best to avoid carrying a balance from month to month, low-rate credit cards can be useful in those times when carrying a balance can’t be avoided. As the chart below shows, the APR significantly impacts both the time it takes to repay a balance and the total cost. Of course, if you never carry a balance, the card’s APR may not be as important as its other features. In most cases, a card without an annual fee is a better option than a card with a fee — unless you’ll earn enough in rewards (and then some) to make up for the fee. Beyond the three main features, the size of the card’s potential deposit amount and credit limit can also be important, particularly if you regularly make large purchases. It’s best to keep your credit utilization low, and a larger credit line can help make this easier. Other secondary factors that may play into your decision can include the secondary perks, like FICO Score tracking, or even the availability of other transaction types such as the ability to make a cash advance or balance transfer. The network or credit card issuer can also be an important factor, such as in cases where overseas acceptance is of interest or if you prefer the one-on-one experience of a credit union over the typical credit card company. It’s the credit card issuer you will deal with directly, so be sure to find one you like. Although the days of collateral are still at hand, today’s typical loan or credit card is an unsecured product obtained merely with a signature and a promise of repayment — at least, that’s how it works when you have good credit. When you have limited or poor credit, however, fewer issuers and lenders are willing to extend you unsecured credit, and those that do will often charge a small fortune for the privilege. That’s where secured credit cards can offer a fair compromise. By putting down a fully-refundable down payment, most consumers can qualify for an open-loop credit card with many of the bells and whistles of prime cards, including purchase rewards, low annual fees, and competitive APRs, all while building credit.